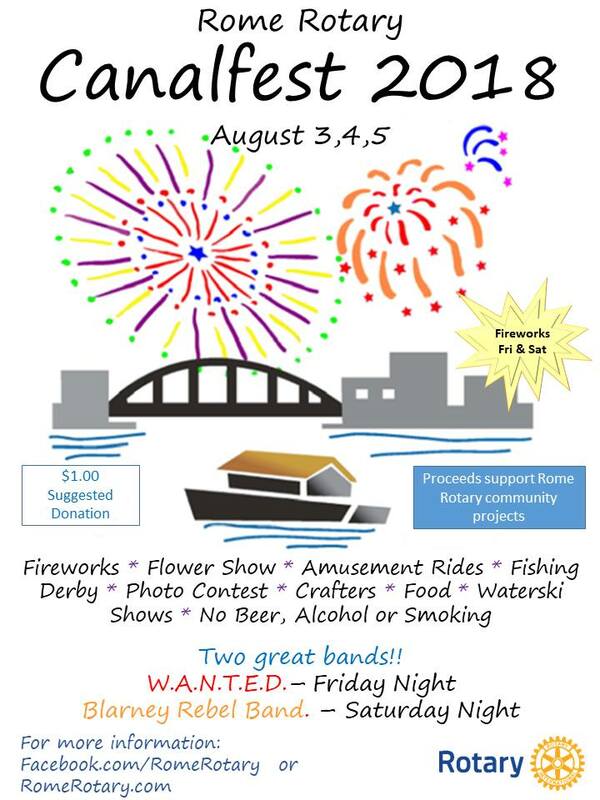 The Rome Rotary will be hosting their annual CanalFest celebration from Friday, August 3rd, through Sunday, August 5th, located at Bellamy Harbor Park on the Erie Canal in Rome. 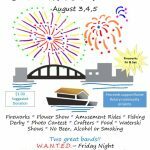 The weekend-long festival features delicious food, crafters, flower show, carnival rides, waterski shows, fishing derby, and two nights of fireworks on Friday & Saturday. Entertainment at the fair includes W.A.N.T.E.D. on Friday night and Blarney Rebel Band on Saturday night.